The hole-in-one prize was only available in the final round and Molteni was the lucky man as bagged the Jaguar XF. 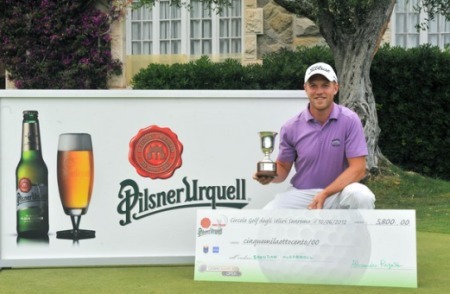 Loughrey's 66 gave him a three-shot win on 16 under par from Leo Lespinasse of France (64) and England's Liam Harper (68) though he "only" won €10,150. McCarroll didn't make a bogey in a final round 67 to take solo seventh and move up to 20th in the Order of Merit after two events. He now heads for the Gosser Open in Austria, which he won in 2012 and 2013.